One of a small handful of truly international wind players, Martin Fröst per­forms with major orchestras worldwide including the Royal Concertgebouw, Leipzig Gewandhaus Orchestra and Vienna Symphony Orchestras, Orchestre National de France, Los Angeles Philharmonic, National Symphony Orchestra in Washington, Philharmonia Orchestra, NHK Symphony Orchestra, Chamber Orchestra of Europe and the Orpheus Chamber Orchestra. Fröst’s passion for expanding the clarinet repertoire has seen him personally champion works such as Anders Hillborg’s Peacock Tales (incorporating ele­ments of mime and dance), Kalevi Aho’s Concerto, Rolf Martinsson’s Concerto Fantastique and most recently Bent Sørensen’s Clarinet Concerto, which he premièred with the Netherlands Radio Chamber Orchestra at Amsterdam’s Con­certgebouw in 2013. An avid recitalist and chamber musician, Fröst performs in some of the world’s most prestigious venues together with colleagues such as Janine Jansen, Anthony Marwood, Maxim Rysanov, MarcAndré Hamelin and Roland Pöntinen. Also active as a conductor, Martin Fröst has appeared with the Oslo and Royal Stockholm Philharmonic Orchestras as well as the Detroit Symphony Orchestra and The Deutsche Kammerphilharmonie Bremen. He is the artistic director of the Vinterfest in Mora, Sweden, founded in 2004, and of the Inter­na­tional Chamber Music Festival in Stavanger, Norway. An extensive and wideranging discography for BIS includes central repertoire such as the concertos by Nielsen and Weber, and Martin Fröst’s recent rerecording of Mozart’s Clarinet Concerto has received substantial critical acclaim worldwide. Martin Fröst is the recipient of the 2014 Léonie Sonning Music Prize, which is now recognized as one of the world’s most prestigious musical honours. 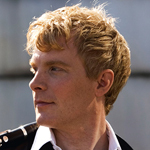 He is the first clarinettist to be chosen for the award, given for continued outstanding contribution to music. Previous recipients have included Igor Stravinsky, Daniel Barenboim, Alfred Brendel and Simon Rattle. For further information, please visit Martin Fröst's website. Karin Rehnqvist - Arktis Arktis!